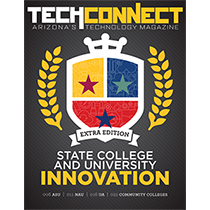 ​The Arizona Technology Council works to connect, empower, and engage technology companies across the state of Arizona through educational seminars, business legislative lobbying, and networking events. We have a diverse member community of science and technology companies, professional service vendors, academic organizations, and nonprofit entities. 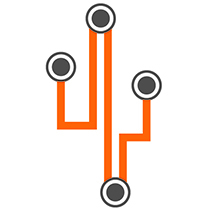 With offices in Phoenix and Tucson, the Council provides tremendous value to technology companies and offers business networking in Phoenix, Tucson and Northern Arizona. Become a Member of AZTC Today! Becoming a member is easy, just complete our online application! Companies of all shapes and sizes are welcomed into the AZTC family; our annual dues are determined based on the type of your organization—technology company, service provider, academic institution, or non-profit—and how many full-time employees you have operating in Arizona. Join one of our committees, like IoT or Additive Manufacturing. Committees meet monthly and help obtain speakers and sponsors for our larger events and conferences. We host over 100 events throughout the year, many FREE for members like our Lunch and Learn educational seminars and our after5 networking mixers. Our members enjoy exclusive discounts and savings on products and services technology companies use the most, like cyber insurance, design + marketing, telecommunications and more. The Arizona Technology Council is one of the largest technology-driven trade associations in North America, with over 850 members and growing. We are the only organization specifically serving technology companies statewide. We exist to protect innovators and truly believe that technology moves all of us forward; we are dedicated to the future of Arizona. We operate as a not-for-profit entity and rely on the incredible support of our annual sponsors to accomplish our many initiatives. Organizations can sponsor the Council at three levels—Premier, Platinum, and Visionary—each offering supreme benefits and opportunities for exposure to our membership base. Event-specific sponsorships are also available. The Premier Sponsorship is our highest level of support at $50,000. Benefits include space at conferences and expos throughout the year, prime exposure on digital and print collateral, a company showcase presentation, and more. Platinum Sponsors support the Council at $25,000 annually. Benefits include the opportunity to host an educational program, placement in our TechTalk monthly newsletter, tickets to our new member Wine & Cheese events, and more. Our most affordable level is the Visionary Annual Sponsorship at $7,500 a year. Benefits include the opportunity to submit guest blogs and content for our newsletter, signature event tickets, exposure on social media, and more. Top priorities include improving the business climate for technology-based companies by providing more sources for risk capital, supporting STEM-focused education, attracting STEM talent, improving the state’s tax and healthcare system, and supporting efforts to advance autonomous vehicle science, safety and policy. 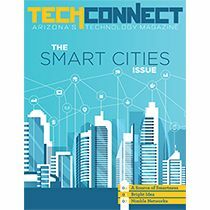 In this issue of TechConnect, we highlight some of the players, innovators, technologies and stakeholders focusing on smart city technology in Arizona.